Talking to Alexa using one of Amazon’s Echo speakers is fun and all. We doubt it’s going to be as fun as when you’re talking to a speaker clad in the likeness of the cybernetic organism (sans the living tissue) from the Terminator movies. That’s right, someone decided to make a Terminator T-800 Speaker with Amazon’s Alexa virtual assistant onboard. No, they didn’t quite build a life-size sculpture of the endoskeleton. I mean, that would be awesome, but would probably be too expensive. Instead, they took the endoskeleton’s head instead and fitted it with speaker hardware, allowing you to pump your playlists from a terrifying robot head straight out of Skynet. 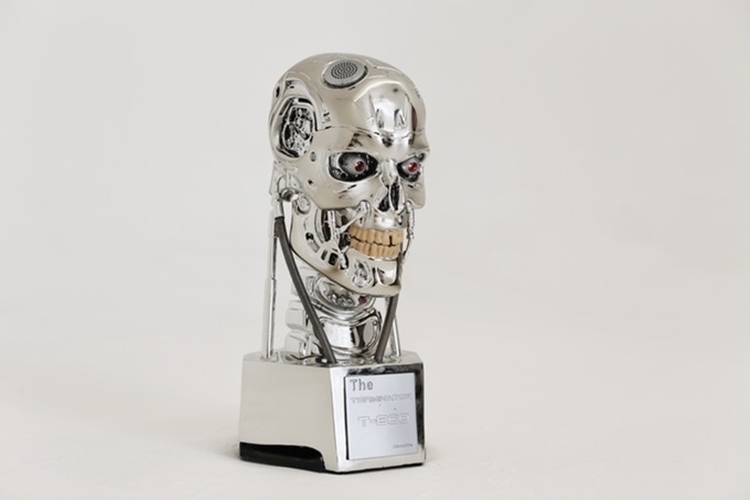 Made by AC Worldwide, the Terminator T-800 Speaker comes with a detailed reproduction of the endoskeleton skull that’s seriously on par with some of the best T-800 sculpts we’ve ever seen. While there are no actual moving parts, all the mechanical details on the darn thing sure looks like it can be capable of snapping its head at you and trying to bite off an ear while you nap. Simply put, the darn thing comes with enough details to look like a legitimately terrifying version of the iconic sci-fi character. The skull, by the way, comes mounted on a platform like a trophy, complete with a plaque whose message you can customize according to your liking. 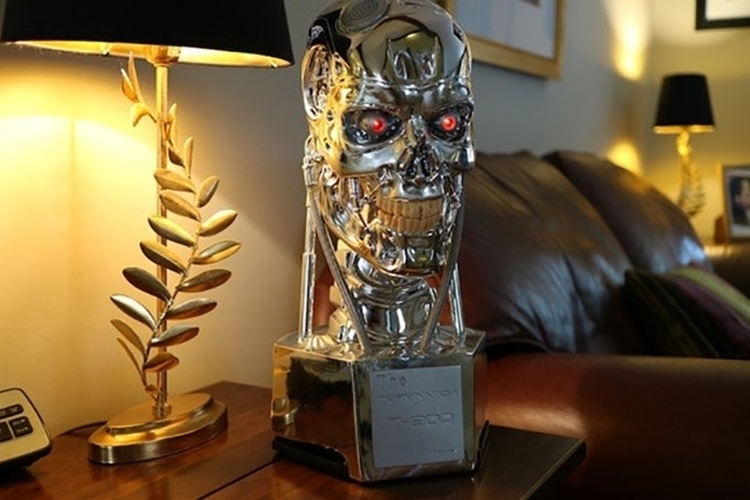 That’s right, you can have the plaque say it’s an award (from Skynet’s official award-giving body), a gift from Arnold himself (because you’re delusional like that), or an actual T-800 you slayed while battling Skynet on a different dimension. Or something like that. The Terminator T-800 Speaker measures 18 inches tall (base included), so while it’s not quite a life-size skull, it is one of the bigger T-800 reproductions you can probably find today. They use a fully-reflective polished alloy for the skull’s surface, ensuring it looks exactly like the robot creations that the fictional AI overlords dreamed up, complete with a menacing pair of illuminated red eyes that look like they’re ready to drill at you with weaponized lasers. 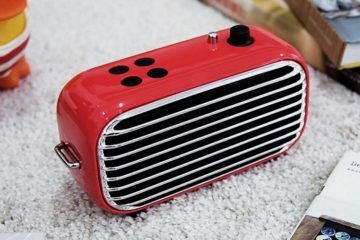 As for the actual connected speaker, it comes with a 10-watt ported subwoofer and a five-watt 32mm tweeter, which deliver what the outfit describes as a “high-quality sound” with a “powerful bass and crisp, clear range.” It comes with Bluetooth for pairing with music sources, of course, along with an AUX port for hooking up to a wired connection. 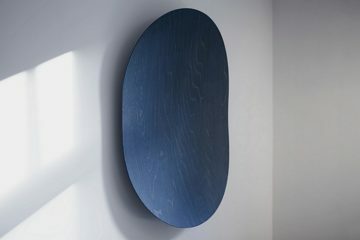 We have no idea how it actually sounds, but AC Worldwide has been getting great reviews for their speakers in the past, so this one’s likely to follow suit. 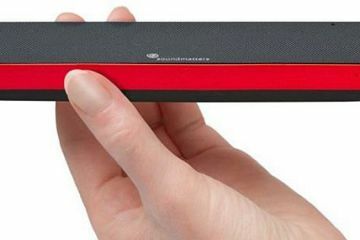 Of course, it’s more than a Bluetooth speaker since it’s also a platform for Amazon’s Alexa. As such, it comes with built-in Wi-Fi for jumping on your home network, along with an HD camera hidden in one of its eyes. We’re guessing the latter is for supporting Alexa’s new camera-centric features, which started coming with the release of the screen-and-camera-equipped Echo Show. 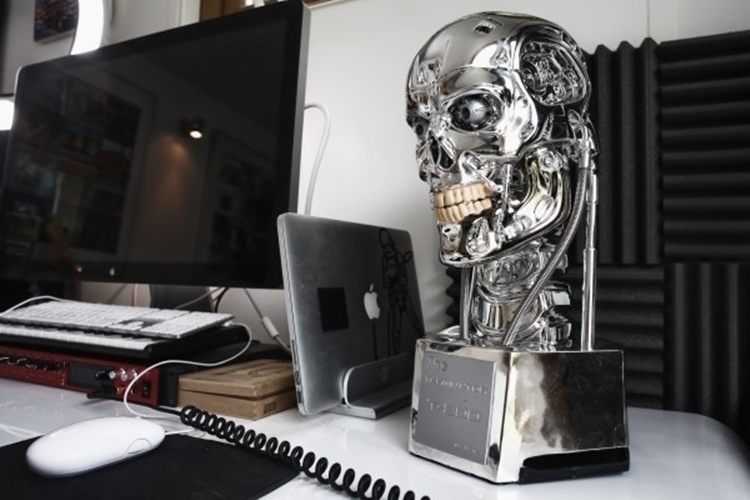 A Kickstarter campaign is currently running for the Terminator T-800 Speaker. You can reserve a unit for pledges starting at £240. The Terminator Alexa would scare the bejeesus out of my kids. lol. If they had built this in a life-sized model than it would probably even scare me. 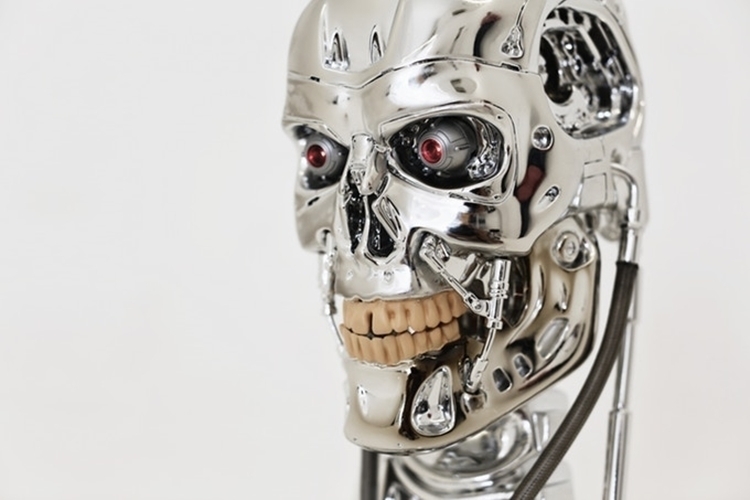 The Terminator T-800 Speaker is pretty neat looking, but its too bad they didn’t make the mouth move. If the mouth moved to whatever Alexa was saying., well that would be extremely funny. 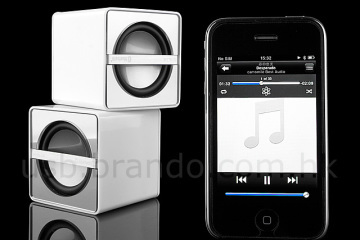 It should provide great audio quality with the 32 mm tweeter and a built-in subwoofer. The audio specs look much better than a plain old Amazon Echo. It’s going to be close as to whether they are able to reach their pledge amount or not. I won’t be pledging this project because for the price, I can buy both an Amazon Echo as well as one super-high quality Bluetooth speaker. 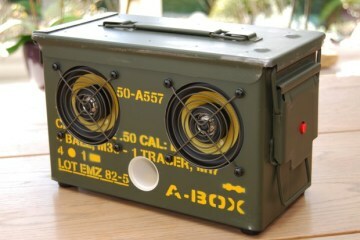 It definitely won’t look as cool as the Terminator T-800 Speaker, but it will fit my decor and lifestyle much better. They should build a steampunk home assistant with Amazon Alexa built into it like the Terminator T-800 has. I think an affordable Steampunk design would sell much more than this Terminator version does. WIth so many home Assistants on the market, it is getting really confusing for consumers. It used to be Amazon Echo vs Google Home Assitant. Now you not only have multiple versions of Amazon Echo such as the Echo Show, but you also have Amazon and Google licensing their technology and personal assistant voice software to other companies for use in their own products. Normally I tell people to write down what you want in a product and then research the market to find out which one meets your needs, but this doesn’t work with Home Assistants. Most people who have not used an Amazon Echo have no idea everything it can do nor do they yet understand how they will use it once they get it. My wife and I use our Amazon Echo much differently from each other. I use Echo to play music, check the weather, and see what movies are playing at the theatre. My wife primarily just orders off of Amazon with it. Ordering products off of Amazon with Echo is super-easy. It is so easy that she is ordering more than normal since we have set it up. If we are in bed and realize we are low on something or need to buy something then she will order it while lying in bed and never moves except for her mouth. I am sure the ease of ordering products with Echo is the primary reason Amazon wants to get them into as many homes as possible. I’ve seen the Amazon Echo, but the Echo Show is a new one to me. I didn’t realize that Amazon also has a personal assistant with a television screen. It is a small screen, but it would come in so handy. Why would you buy a regular Echo when you can instead buy one with a screen. I know Echo can tell you the time, but the Echo Show can also show you the time. Amazon has a great business structure going here. Amazon develops the Alexa voice assistant, and then licenses Alexa for other companies to use as well as using it on their own products. The More people who use Alexa, then the more customers they get buying products off of their website. Amazon not only makes money from the additional sales but also in the licensing fee the companies pay to Amazon. In addition, Amazon is using those profits to develop and get newer personal assistants in the hands of customers faster than anywhere else. Companies are still designing their Personal Assistant 1.0, and Amazon is already onto version 3.0 with the Amazon Echo Show. I think Jeff Bezos has proven himself to be a much better businessman than Steve Jobs ever was, and I have a lot of respect for Jobs. That’s a pretty impressive, unique business structure – ingenious! Do you have to pay for Alexa as well? The fact that you compare Amazon to Apple seems a bit bizarre but OK. I still appreciate your analogy, and as far as personal or interactive mobile device assistants go you would be correct. I also did not know of the Echo Show, but the evolution of combining televisions with personal assistant technology, to me, is truly astonishing. 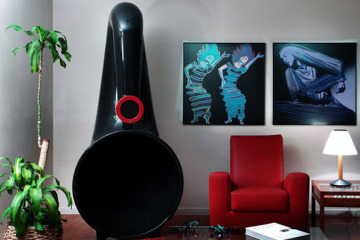 Well, this one would be portable as opposed to a television screen, right? So that’s probably why people would have preference over this as opposed to the larger setup of the Amazon Echo system and technology. This is so cool, and I’m a huge Terminator fan! I still remember playing Terminator on Sega-Genesis – wow how time flies! This is a lot neater, and a technology and product I’d be willing to invest in! The Terminator T-800 is undoubtedly a CLASSIC look – and a must have for fans! Who knows? Maybe in the future, they’ll build a smaller model with the complete body attached! This is taking something like a Siri or in this case Amazon’s Echo speakers to the next level! It looks scary too, so I know my kids would be hesitant to mess around, play with, or break it 😛 The illuminating eyes were the perfect touch – and a 10-watt ported subwoofer is just the amount of power I’d need! The fact that it pairs with Bluetooth is pretty impressive too, so now I’ll have a Terminator head singing to me lol 😛 I’m excited to see what other movie-themed Amazon Echo ‘heads’ they come out with next!